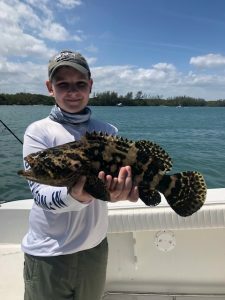 Fishing has been good! It’s time to go fishing after the wind stops blowing. 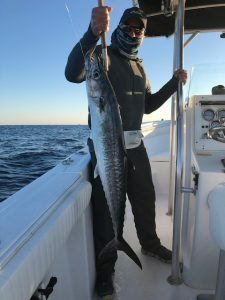 Fishing offshore has been good most days. 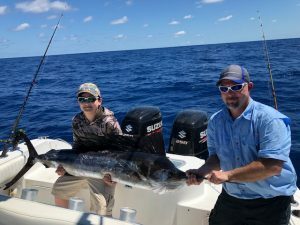 Sailfish have been biting! 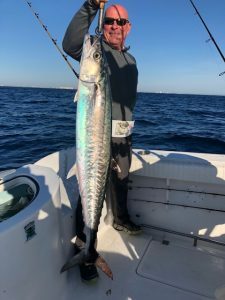 The fish are on the move and scattered from the edge to 300 ft. Dolphin are around, the bite has been hit or miss but there have been consistent schoolies offshore. 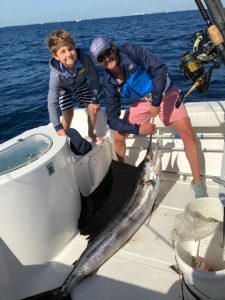 There are some massive kingfish around the edge. 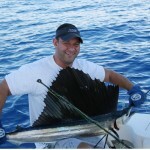 Congrats to Don for landing a 50 pounder, last Thursday! 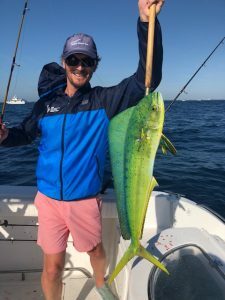 Bottom fishing was hot around the full moon! 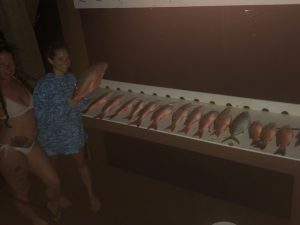 Keith, Jessica and Charlie experienced a wide open snapper bite Sunday evening! A great evening trip, and was the last time we were out before the wind came in. 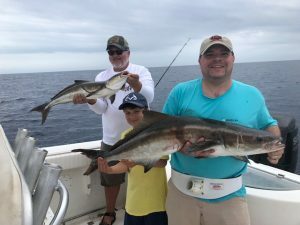 Cobia are around the edge.It’s a great time of year to get offshore, you never know whats going to be hitting and whats pulling drag. 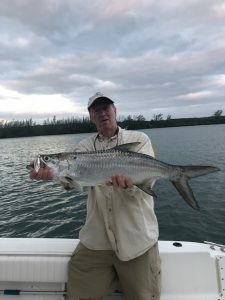 Its Tarpon time inshore. 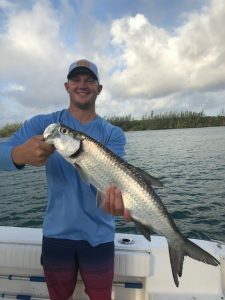 Tarpon have been in the mix, we had a few releases last week. Fighting these fish on light spinning rods is what its all about. 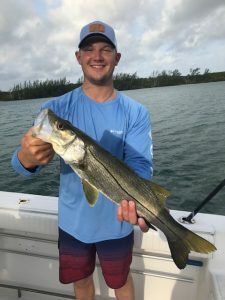 Snook continue to bite well. 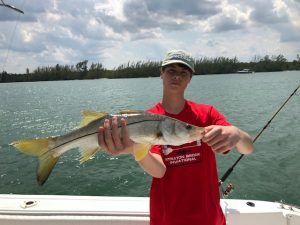 The snook bite will only improve now that May is here, and into summer. 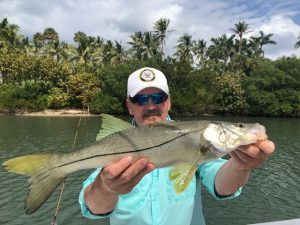 If you want to target trophies here soon, the giant snook will move into the inlet! 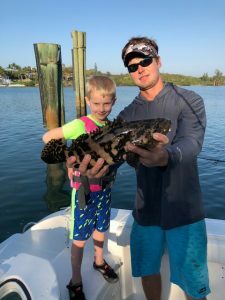 We been having a blast with some junior goliath grouper inshore. There will be a sweet night bite all summer long. 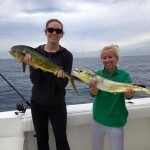 Call 561-214-2271 to get hooked up on a Jupiter Fishing Charter. See you on the water.